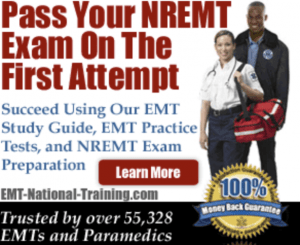 The National Registry of Emergency Medical Technicians exam or NREMT is administered to all students intending to enter the paramedic or EMT professions. Students are allotted a maximum of 2 ½ hours to complete the exam. The NREMT will consist of 80 to 150 questions that may be found in the form of multiple-choice, matching, written and true/false categories. Each question will cover one or more aspects of the six major categories including Medical, Trauma, airway, Cardiology, OBGYN and operations. Within these questions students will discover medications are an integrated part of each category. It is essential that each community paramedic posses a competent knowledge of the commonly used medications they will encounter in the professional field. Many questions found on the exam will consist of real-life scenarios in which the student must correctly respond concerning proper procedures and patient care. In addition, many questions will evaluate the student’s abilities to recognize commonly used medications during these scenarios as well as their dosages, descriptions, precautions, routes of administration and contradictions. Many paramedic and EMT students struggle with memorization of the medications necessary to pass the NREMT exam therefore paramedic drug cards are an excellent tool for study. The NREMT exam is designed to assure a passing score as well as a minimum 95% confidence. The computerized program used for testing will evaluate not only the correct answers but also the student’s abilities as a future paramedic or EMT. Using paramedic medication cards, students can assure they have the working knowledge necessary to pass the NREMT as well as function correct when in the field. Many students using flashcards for study find it beneficial to devote time each day to a designated number of medication cards. This can range from as few as 3 a day up to 10 depending on the individual students abilities and exam date. Students may opt to create their own flashcards using index cards and their own list of medications or use the multitude of online resources. Many websites offer excellent tools for study including drug cards, interactive study pages and even printable medication study guides. Free printable flashcards are avialable at Woofmedic.com that includes a complete listing of medications paramedics and EMT will encounter. As the digital processes however, many students find that using an interactive website allows for both home study and extra cramming while on the go. Several comprehensive hard copy and E-books are available for purchase online if a student wishes to invest in a more permanent drug resource that can be used for NREMT study and while in the field. The Emergency & Critical Care Pocket Guide 8th Edition includes valuable information found on NREMT test including common drug information. In addition, the Paramedic Emergency Care Workbook comes complete with interactive study pages, flashcards and skills sheets. Paramedic Drug Reference Cards– general medicine cards with commonly used medications that paramedics and EMT professionals encounter daily. Paramedic Drug Cards– Two-sided flashcards that include classifications and usages. Paramedic Drug Cards Dosage– Additional medicine cards with dosage levels and conversions also available. Quizlet.com offers a multitude of different flash card options online for medication study sure to assist students. This free website includes online flashcards that can be flipped through for reference whether on a laptop at home or while on goes using a Smartphone or iPad. There are several modes in which to study. Two-sided flashcards provide medication names on side A and important drug information on side B. The learning mode offers study questions based on the actual NREMT exam with answers generated on each card. You will receive immediate feedback based on your answers. Interactive practice tests are also available in written answer, multiple choices, true/false and matching format. The test can be regenerated multiple times, each with different drug related test questions for a complete source of NREMT. 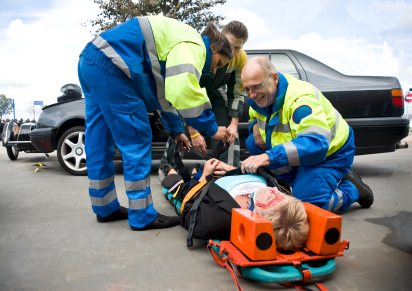 Quizlet also includes two interactive paramedic games for studying fun. Cram.com offers three types of study materials. Free online flashcards can be navigated using arrow keys and come complete with a “third side” for one additional hint per drug card. The memorize option provides commonly used medication names along with an answer section to test your skills. The program will keep a running score to track your progress and can be regenerated 40 questions at a time. The test portion allows students to customize practices test and can be regenerated multiple times. Students will find each site provides specific flashcards sorted by medication, adult/child dosages, classes and a large database with a complete listing of drug cards available. Students preparing for the NREMT test should gather learning tools such as drug flashcards and practice tests and generate a study plan specific to their learning needs. In addition, many former students advice bringing flashcards to the testing facility for a last minute review of medications. Lastly, if you’re looking to better understand how to do paramedic drug calculations, be sure to check out our article on that unique topic.